I’ve often said that as the internet connectivity becomes ubiquitous in our lives, permeating every device that we carry and area where we live – that the web becomes like a layer of dust over everything. Academics used to call this ubiquitous computing – or ubicomp. 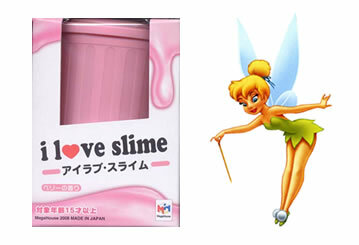 Some would say fairy dust, others would say slime. The internet is no longer some place you ‘go to’ – it is everywhere. It is like the radio waves that go through our bodies that we can’t sense. But with a radio those invisible bits of data are suddenly audible. Otherwise it is just information beamed through our bodies. As the internet matures and more and more people publish more and more content – reviews, pictures, stories, blog posts, videos, etc – and it gets ‘geo-tagged’ with the latitude and longitude of where it was created or what locaiton it is talking about – all of this media and data combine to form and active, living layer that goes way beyond a wiki entry. 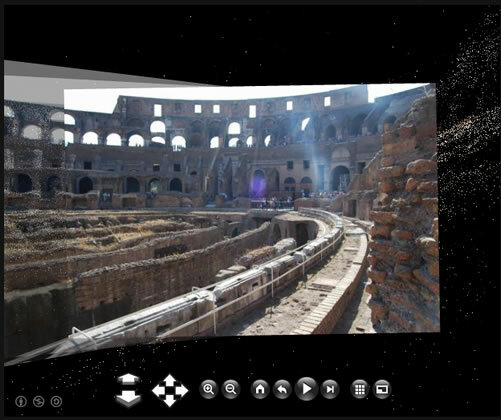 This is the result of software that stitches together thousands of images of the Coliseum – all from different people taking pictures of the monument at different times, in different photo formats, from different perspectives. Here’s a TED talk on Photosynth using hundreds of images of Notre Dame Cathedral. So I’m walking down a street in San Francisco, I tell the Yelp app on the iPhone to find the best Thai restaurant near me. The iPhone grabs my GPS coordinates and asks Yelp to download the low-down. With in a few seconds, I have a map of restaurants. As this technology matures I’ll be able reviews from only trusted friends on Facebook or pics of the restaurant on Flickr or know real-time what celebrities are eating there… and how busy the places are at this exact moment in time if I decided to walk in and get a table (along with other similar restaurats proably paying to be advertised alongside such requests). Virtual reality stalled with people stuck at home with TV screens glued to their retinas. Augmented reality is accessing that ‘layer’ of dust/slime created by the accumulation of data, photos, media and ideas tagged to a location. Millions of bits of data mixed into a delicious lemony glaze to sweeten and tart up the world around us. Or the spammers will ruin yet another awesome online idea with a barrage of localized e-sewage. This entry was posted in General on September 2, 2009 by Andy Wibbels.